Carnivaleros bandleader Gary Mackender started writing songs in his late 40s. Six albums later, he is in his prime. His music has always been difficult to define, combining moody Eastern European motifs and strains of western movie themes. And then there are the quirky stories of the American experience laced with rhythms of Zydeco, Tex-Mex, waltzes and swing, all of it compelling you to the dance floor. Mackender was raised in America's heartland and was exposed to many elements of popular American music; jazz, rhythm & blues, rock 'n' roll, country, showtunes, zydeco and bluegrass. After locating to Tucson, Arizona in 1989, he joined a group of folks calling themselves The Mollys in 1993. This band allowed him to hone his skills as a versatile and musical drummer, absorbing and mixing styles, bringing all of his background to bear. Up until his departure in 2000 The Mollys provided him the opportunity to perform in some of the best venues across the U.S., Canada, Australia, and New Zealand. It was during this time that he dragged along his accordion on tour and learned how to play it, slipping away late at night after the gigs when everyone else fell asleep, and he hasn't stopped. "It's even more organic than the drums. It responds to every move, it breathes, it wheezes, it can be loud and demanding yet it can whisper and seduce. I've also discovered material on it that would never have presented itself on the piano." Mackender has re-united with long-time friend and formidable bassist Karl Hoffmann after 25 years of playing music on the coast of Spain, now living in Tucson, Arizona. 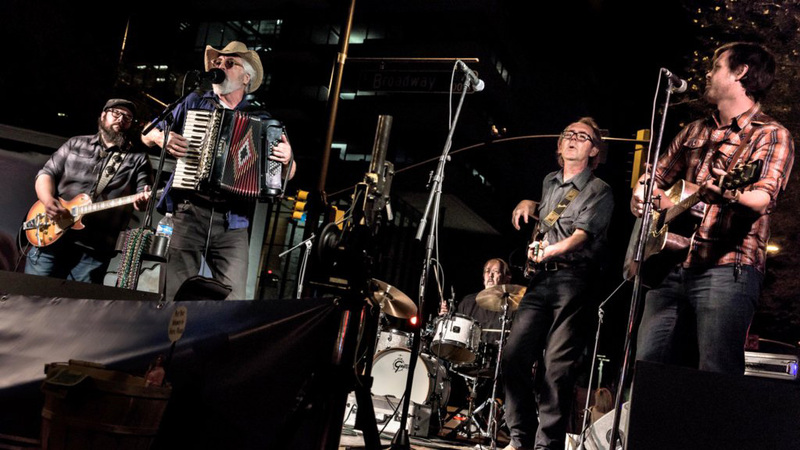 Along with Joe Fanning on electric and acoustic guitars, baritone, and mandolin, Les Merrihew on drums, and Björgvin Benediktsson on guitars and vocals, they form the core of the band now playing and recording as The Carnivaleros.